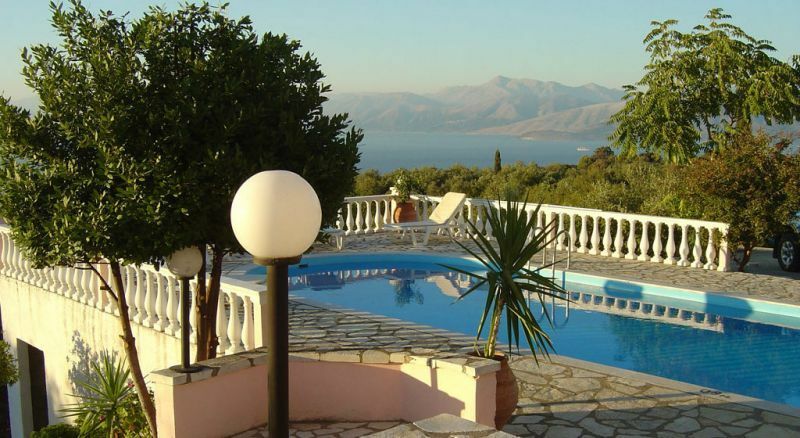 Villa for rent in Corfu, Kassiopi in Greece. 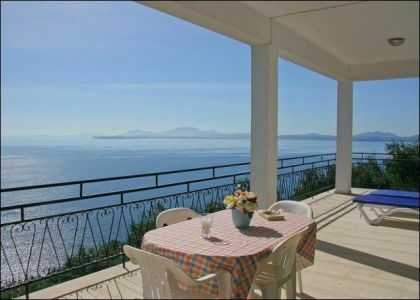 Offered for rent two stylish modern villas – perfect for summer vacations in Greece. 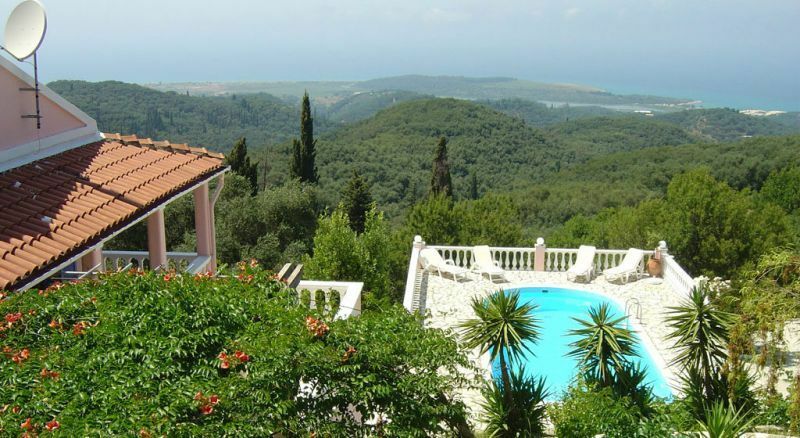 Located on a large plot in the north-east of Corfu, villas stand on the top of a hill in a small village, offering great views over the Ionian Sea. This neighboring villas are in 10-15 minutes’ drive from nice beaches and all the necessary amenities (taverns, bars, ATM, grocery stores). Ideal option for families, couples and groups. 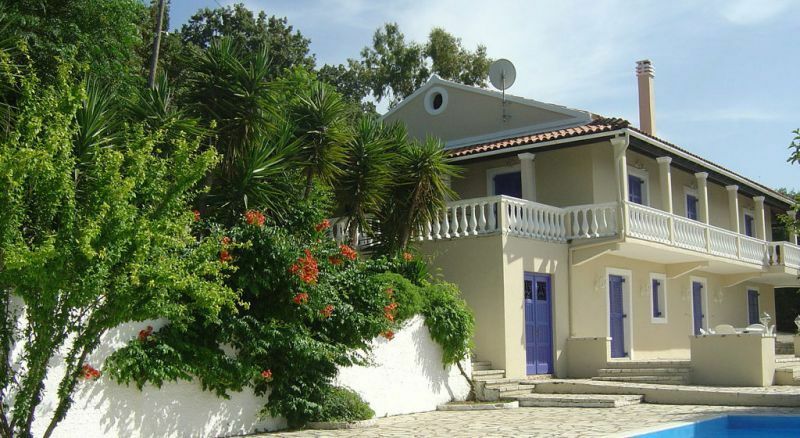 Villas feature similar architectural style, built on two levels with wide panoramic windows and spacious terraces, surrounded by large garden. Villas have same comforts and amenities, being different in the number of rooms. So you can choose the one, which perfectly fits for your party. 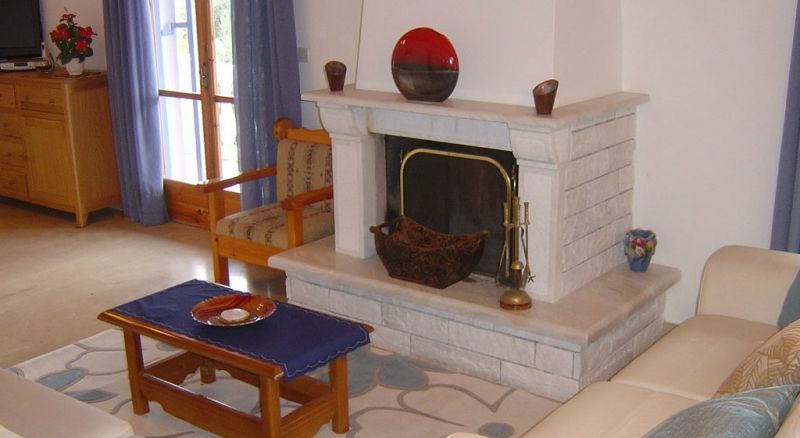 COR196 villa offers a large spacious living room, where guests can relax by the fireplace, watch TV. Further is a modernly equipped kitchen with all you need for self-cooking: fridge, oven, stove, dishwasher, cutlery and crockery. This ground level has many windows and large glass doors, opening to the main terrace. Terrace is complemented with a private swimming pool and outdoor Jacuzzi. 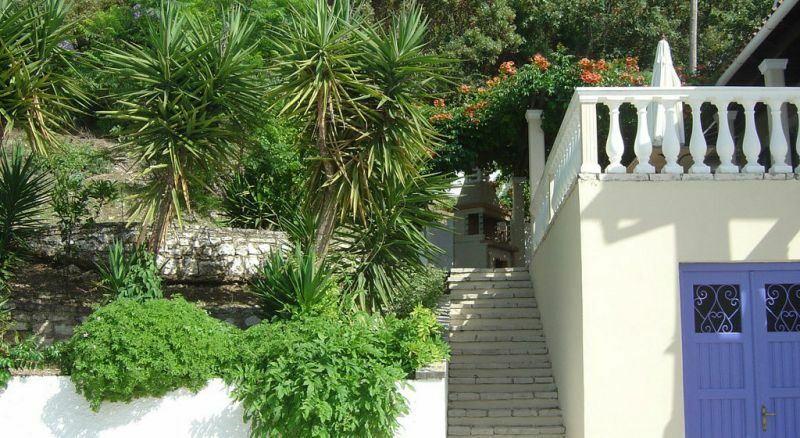 For most convenience, there are sun loungers, shaded dining area and outdoor shower around the pool. 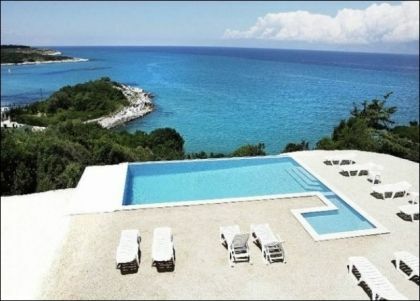 Pool has infinity edge, creating the effect of water merging the sea in front. 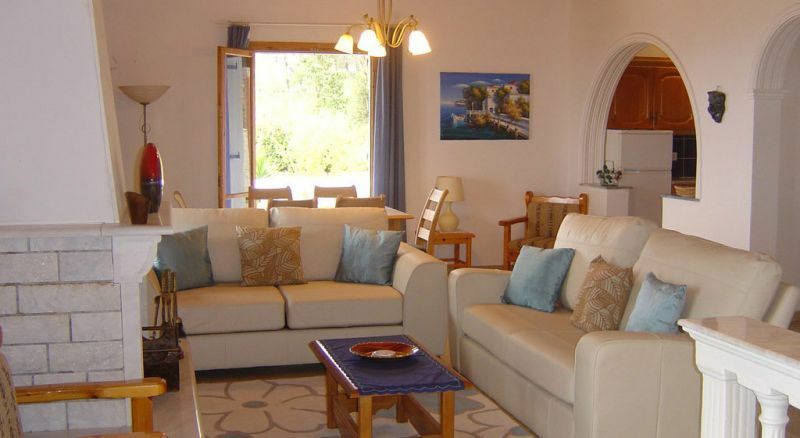 Villa COR196 easily accommodates up to 10 guests. 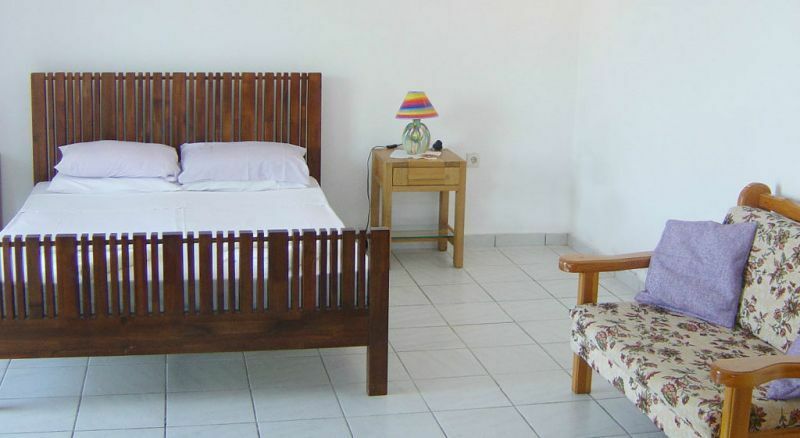 There are 5 bedrooms at guests disposal – 4 of them with a double bed and 1 fitted with 2 single beds. Four bedrooms have their individual bathroom with tub or shower. 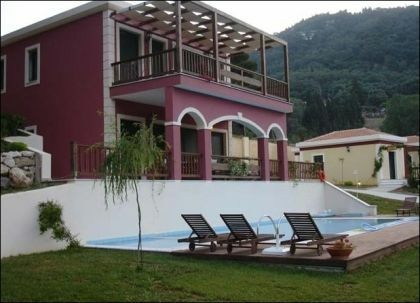 The villa COR197 has 4 bedrooms: 3 bedrooms with large double beds (2 of them with private bathrooms, both equipped with shower), 1 bedroom with two single beds. Here a family or a group of 8 people can comfortably stay. 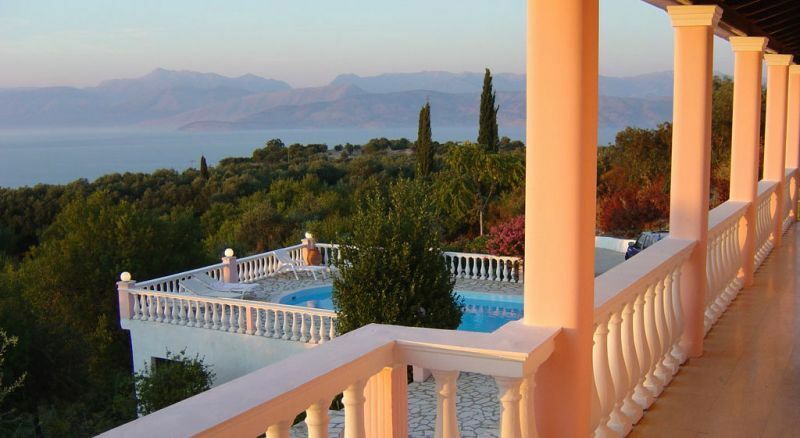 In addition, there is barbeque equipment provided for each villa, so that all guests can enjoy alfresco meals with stunning views. Renting a car will make your vacations more unforgettable. 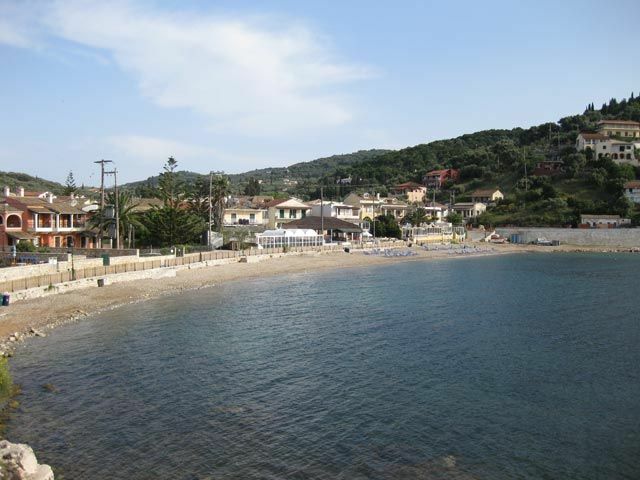 Go on exploring numerous secluded beaches, small traditional villages with taverns of authentic Greek cuisine. 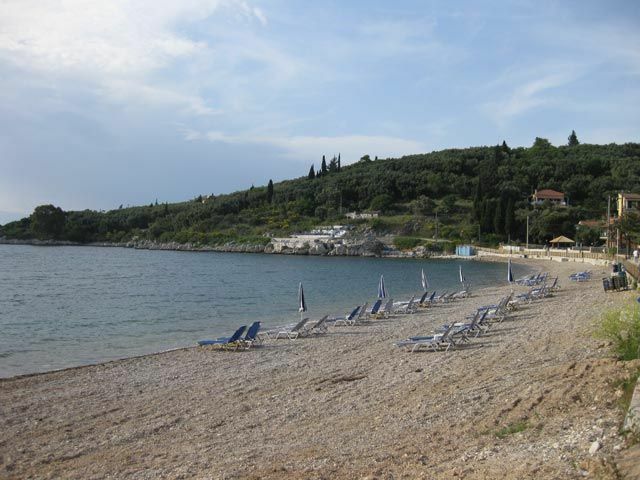 From the nearby port of Kassiopi daily boats trips leave from to Corfu Town and beaches along the coast. 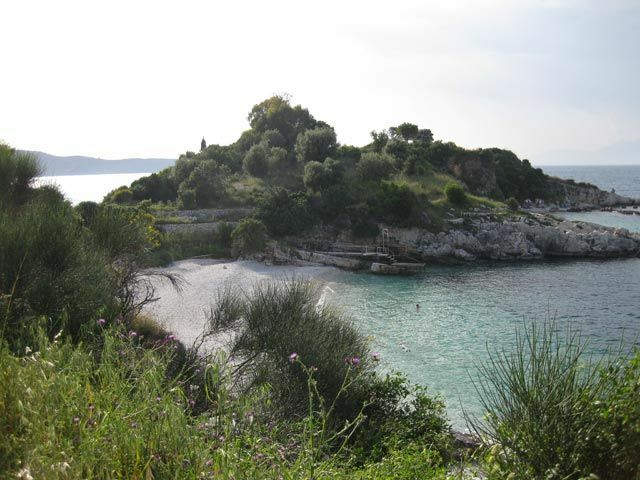 You can also book day trips to Paxos island or even mainland.